Though man made diamonds have been available since the 1950’s, they are just now gaining a lot of national and even worldwide attention in the jewelry industry. This is due to a variety of factors, including the fact that initially, lab grown or man made diamonds were not quite nice enough for jewelry. They had all of the industrial capabilities of mined diamonds since their chemical structure is identical [they’re pure carbon, just like mined diamonds], they were simply too dark in color and clarity for use in jewelry. For over a decade though, laboratories all over the world have been producing beautiful, conflict free, ethically sourced man made diamonds. Diamonds that rival every mined diamond in beauty, size and colors - not to mention that they’re created with just 25% of the energy that it takes to mine diamonds. These sparkling beauties are diamonds in every single way. They are chemically, physically and optically identical to mined diamonds and defy detection - even from skilled and experienced jewelers. In fact, man made diamonds test positive on a jeweler’s diamond tester and the only real way to tell them apart from mined diamonds is the fact that the labs creating them proudly inscribe the cut and polished diamonds with their certification number beginning with “LG” for “Lab Grown”. Many progressive jewelers are thrilled to offer options for beautiful, guilt-free jewelry that are blissfully free from violence, conflict, child labor and damage to the earth. We love our stunning little stars that carry their certificates with them to proudly document their origin and history as well as their cut, color and clarity grade and carat weight. So why isn’t everyone offering man made diamonds? Many people [especially retailers that are firmly entrenched in the mined diamond traditions] have rejected the notion of man made diamonds being equals to mined diamonds. Man made or lab grown diamonds have been called “fake” and “synthetic”, terms that don’t exactly carry a positive connotation. Bottom line, people instinctively resist change. 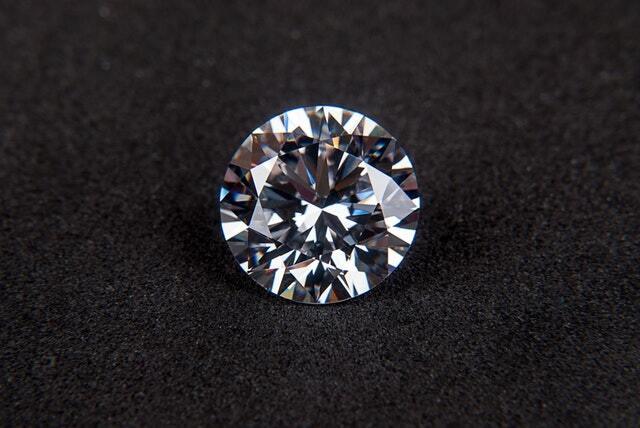 However, science and progress inevitably march forward, and the benefits of man made diamonds simply cannot be denied. The FTC has even noted that the word “synthetic” should no longer be used in the marketing and description of man made diamonds since it creates confusion for consumers who may then think of these man made diamonds as fake or artificial which is incorrect. The takeaway is that while man made diamonds originate differently from mined diamonds, that origin is truly the only distinction between the two stones. For many that difference is wholly a desirable and attractive one! Check in with one of the many jewelers offering this ethical option for more information! Are you looking for an engagement ring with man made diamond? Check it out at https://ecodiamond.com/engagement-rings.